Kolkata Knight Riders in their away match defeated Rajasthan Royals by 8 wickets, finishing the game in 13.5 overs. The target of 140 was never a challenge for KKR who chased 205 in their last match against RCB with five balls to spare. Chriss Lynn and Sunil Narine smashed RR bowlers, scored at the rate of 10.70 runs per over for their 91 runs. Harry Gurney awarded the Man of the match for his 2 wickets for 25 runs which helped KKR in restricting the hosts to 139 runs. Rajasthan’s score of 139 was the least any team scored, playing all 20 overs and losing 3 or fewer wickets in an IPL match. With this victory, KKR passed through Chennai Super Kings and Sunrisers Hyderabad to reach the top of the table. They have only one loss against their name. Steven Smith scored 73, his highest score since the start of IPL 2017 and it was his first T20 fifty since August 2018. RR seemed to have misread the pitch, as they did not go for big hits despite having plenty of wickets left. Rahane thought a target of 150-160 runs would have been enough, but the way KKR won the match in 14 overs, even 180 would have been a below par score. RR bowlers disappointed their captain as they failed to stick to the plans in the low scoring match. After Rahane’s departure in the second over, Rajasthan could not capitalize the powerplay overs, scoring just 28 runs. Jos Buttler and Smith built 72 runs partnership, however, Buttler was slow for his 37 runs at the strike rate under 110. Smith played a pivotal role in building and later accelerating RR innings with his 73 runs. Ben Stokes (7 off 14) harmed the team by wasting more balls than runs. RR bowlers gave a poor start by giving away 32 runs in just first two overs. Rahul Tripathi dropped Narine in fourth over. Dhwal Kulkarni was unfortunate not to get Lynn as he inside edged and the ball hit the stumps too, but the bails did not dislodge. Shreyas Gopal removed Narine in the 9th over however till then KKR already raced away to 91 runs. RR’s decision of including legbreaker Sudhesan Midhun did not work as he gave away 27 runs in his two overs. RR could neither take the wickets nor block the free-flowing runs. For RR, Smith played a very good inning of 59 balls 73 which included 7 fours and a six, while Buttler made 37 runs in 34 balls. Gopal got both the wickets of KKR for 35 runs. Midhun and Krishnappa Gowtham were quite expensive as they together conceded 49 runs in their 3 overs. After chasing 205 in the last match, KKR preferred to chase again after winning the toss. And this time they got quite an easy target of 140 runs. The inclusion of Gurney in place of Lockie Ferguson also proved to be a wise decision. KKR bowlers struck early when they got the RR captain’s scalp on the seventh ball of the match, at the score of 5. Gurney got Buttler with a slower ball when RR was on 71. Though KKR bowlers took some time to break the partnership between Smith and Buttler, the flow of the runs was always under check. Only two of their bowlers went for runs more than 8 per over. It was overall a very good bowling display by KKR bowlers as they restricted the hosts to 139 runs, with overall 50 dot balls, 26 of which bowled by Narine and Piyush Chawla. Lynn and Narine were clear with their tasks, smash the bowlers mercilessly. While Lynn started with two boundaries, Narine destroyed Gowtham with 4 boundaries and 1 six in the second over. In six overs, they were already near the halfway mark with 65 for no loss. He hit two more sixes before falling to Gopal. By the time Lynn departed, the job was almost done and winning was just a formality. KKR batsmen scored at more than 10 runs per over most of the time. They made a very strong and positive impact both in terms of confidence and net run rate, by achieving the total in 14 overs. Player of the match Gurney took two wickets for 25 runs while Prasidh Krishna got 1 for 35 runs. Lynn and Narine were brilliant in the run chase. Lynn scored 50 off 32 balls, while Narine made smashing 47 off 25. Both hit 6 boundaries and 3 sixes. 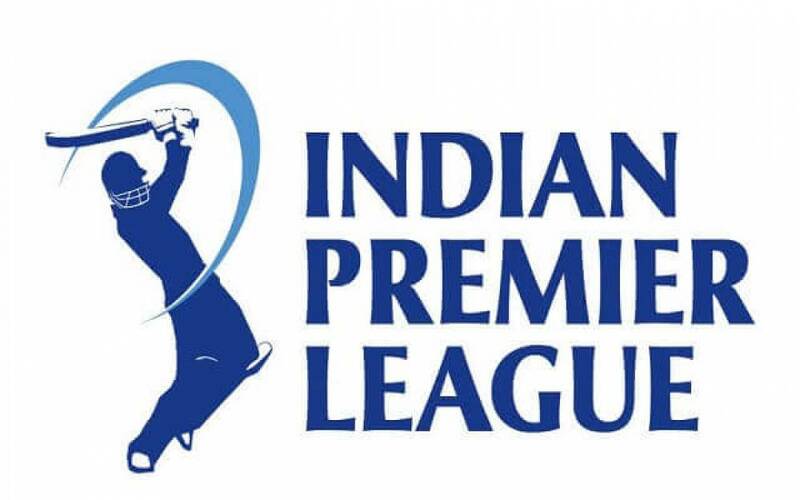 Rajasthan Royals who are at the 7th position will play a home match against second-ranked Chennai Super Kings on 11 April at Sawai Mansingh Stadium, Jaipur. With only one win so far, Rajasthan need to win this one badly if they want to stay in the contest. Kolkata Knight Riders will play Chennai Super Kings on 9th April at Chidambaram Stadium, Chennai. It is expected to be a great contest where the top two ranked teams will show their skills. Both teams lost only one match so far and one team’s stats will change.